Orange Onyx is a semiprecious gem belonging to the agates family. Its succession of circular veins brings us back to the most impulsive and extravagant side of Nature. Orange tones that bring distinction as well as freshness and dynamism. Its translucent essence allows light to penetrate creating luminous effects full of fantasy and beauty. The environments that are looking for differentiation discover in this unique and semi-precious material a perfect ally. Architects and interior designers use it in interiors, kitchens, and bathrooms of the most luxurious hotels and residential projects. TINO Collection standard surface finishes are: Polished, Honed, Domus and Sandblasted. 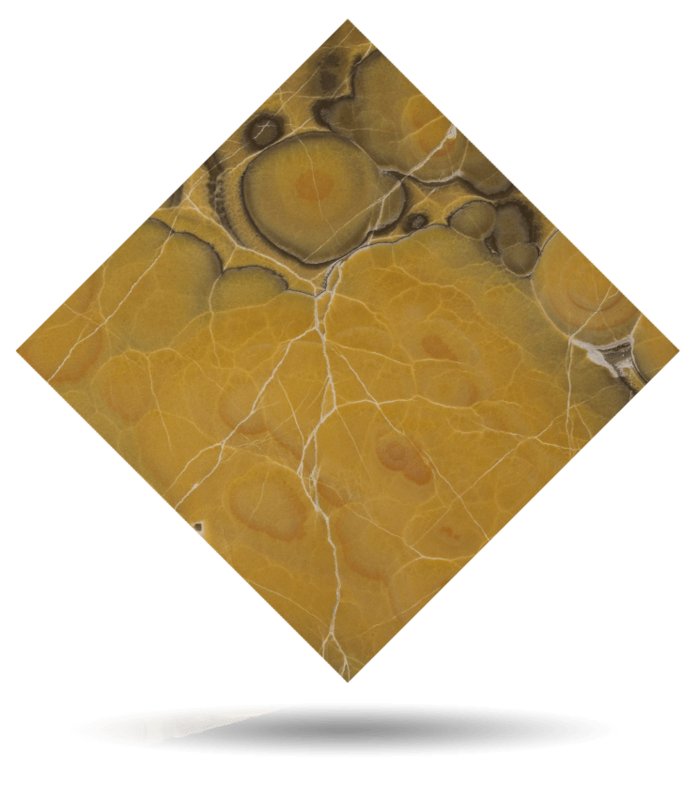 TINO offers Orange Onyx in any formats and finishes desired by the customer. Check maximum size per finish. For other finishes, please check availability and sizes.